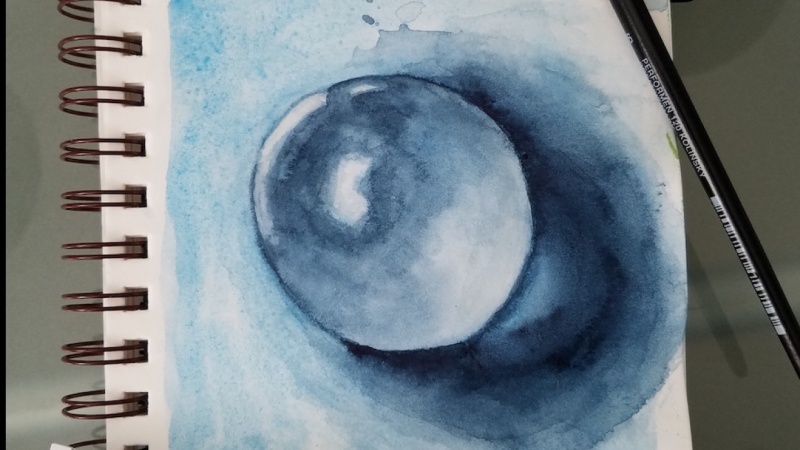 In this class, I will teach you how to sketch and paint a realistic water drop with watercolor and gouache. We will be using the glazing technique and only two colors. Here are 25 free places for my class! For your class project, you will have to, yes, you've guessed it, paint a water drop! :) Search for images online to get inspiration and maybe you would like to paint a dew drop on a flower? Or on a leaf? I can't wait to see your water drops!